It’s not really damn cold nite to say. But I always say that fever or headache or influenza or something like that is just a sugesty. It’s not a real disease. Don’t feel it, so you will not feel it. Simple, right? If you do not wanna be sick, why should you say that you are going to be sick? I am not going to have fever coz I dun wanna leave my beloved broadcasting time. Fever means no working, no going to campus, no teaching. Yea, I’ve told that here and here also. However, the fluctuated feeling that these days in me, slowly but sure become a bit stable. Just a bit. Really a bit. 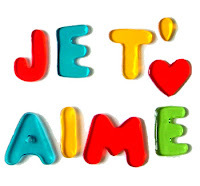 I didn’t listen any statement but just Je t’aime came out from a short message service from one I need to say it straight to the point. I will not let myself hurt anymore, of course. I also have no heart to hurt one who has no heart to hurt me. I am willing to wait till I find no more boundaries between.